The San Jose Blog: Google Eyeing North San Jose! Google Eyeing North San Jose! First Apple, and now Google. Momentum is quickly building in North San Jose for anchor tech companies! With little room to grow in Mountain View, Google has finally decided to consider office space in San Jose. The company is planning to start with about 150,000 SQFT. If things go well, I would not be surprised if they expanded. North San Jose has millions and maybe even tens of millions of SQFT worth of potential office development. 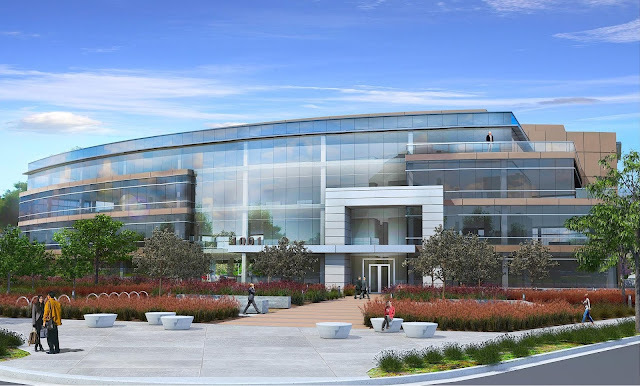 The SiliconBeat article also references the BART extension in Milpitas and Berryessa as one of the reasons why the North San Jose office market will get hotter over time. Completely agree. BART is going to be a huge amenity for East Bay commuters that Mountain View, Palo Alto, and Cupertino will not have easy access to. I think they would be a nice fit for Coleman Highline. Progress on that site is moving so slowly though. Great blog! Love being up to date with what's happening in San Jose.